Pro tips for cooking perfect eggs — from making the softest scramble to peeling boiled eggs with ease. Cooking eggs is not easy. They're easy to overcook, rather delicate, and can be a bit tricky to get right. So we rounded up 12 tips straight from pro chefs to help make sure your eggs turn out perfect every time. 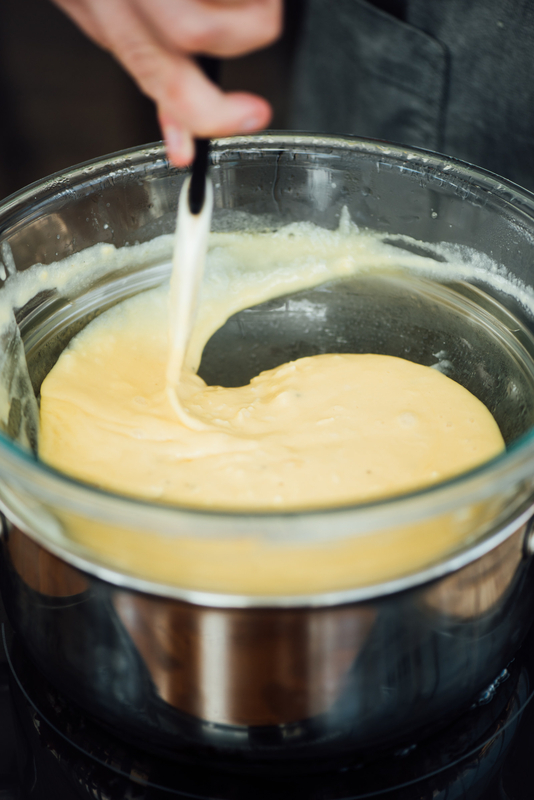 Passing eggs through a sieve will also make sure your whites and yolks are completely homogenous, preventing strands of cooked whites from appearing in your scramble. 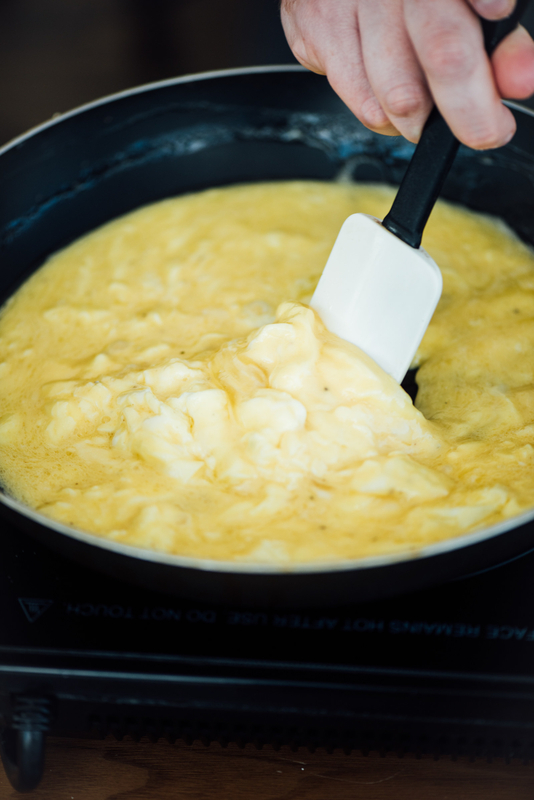 Get Keller's recipe for scrambled eggs. Just combine two eggs, some butter, salt, and pepper in a coffee mug and steam them (just like you would milk) using an espresso machine. "It steams the eggs into the softest, fluffiest scrambled eggs," says Stewart. "These eggs are buttery, and fluffy, and light, and delicious." Although unusual, this technique is super forgiving and results in tender "scrambled" eggs every time. 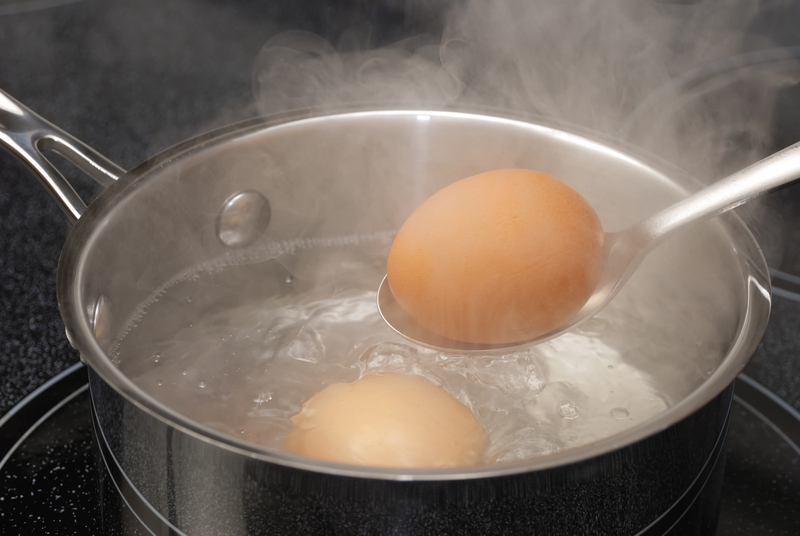 You just bring a small pot of water to a simmer, add your eggs, and cook them until they float. It's good for making big batches of eggs and would certainly be a conversation starter at breakfast. Get Patterson's recipe for scrambled eggs. 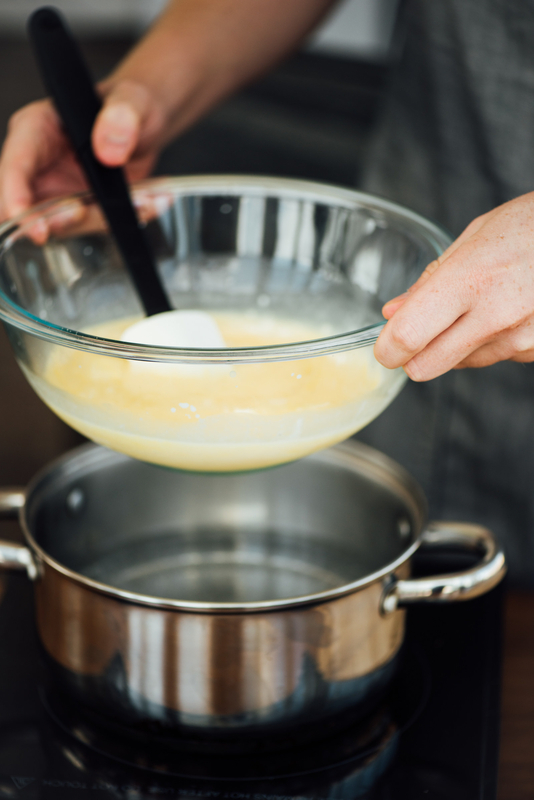 By gently cooking them in a double boiler (aka a bowl placed on top of a simmering pot of water) you pretty much eliminate the chance of overcooking the eggs. Although the process is slow and requires frequent stirring, it results in scrambled eggs that are rich and decadent. Watch Blumenthal make his scrambled eggs. 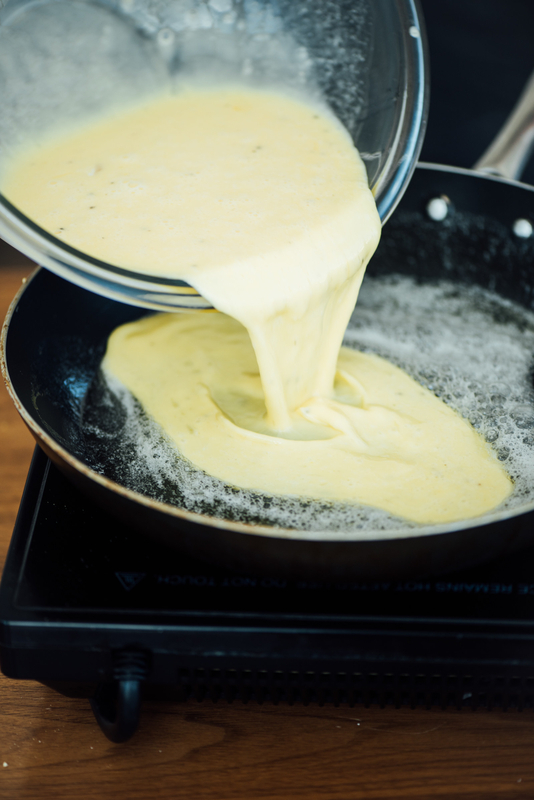 Cooking scrambled eggs over low heat gives them a creamy, custardy texture instead of the typical large, dry curds. Teigen cooks hers for 20 to 30 minutes, and stirs them constantly, so go slow and don't rush. Get a recipe for Chrissy Teigen's low and slow scrambled eggs. Eggs are delicate, and the slightest bit of residual heat will continue to cook them, so make sure to remove your eggs from the stove just before they're fully cooked. Get Oliver's recipe for scrambled eggs. "If the eggs are not quite as fresh as you could wish," says Child, "simmer them in their shells for 8 to 10 seconds before poaching." This is not enough time to actually cook them, just long enough to get them started. "This will often firm up the white just enough so it will hold its shape around the yolk when the egg is broken into the water," says Child. After that, Child poaches them per usual resulting in perfectly shaped eggs. Just line a small bowl with plastic wrap, crack an egg into it, and tie it shut. You can then poach the egg directly in the plastic wrap so it holds its shape. Once cooked, snip it open, peel back the plastic wrap, and you have a perfectly poached egg ready to be enjoyed. 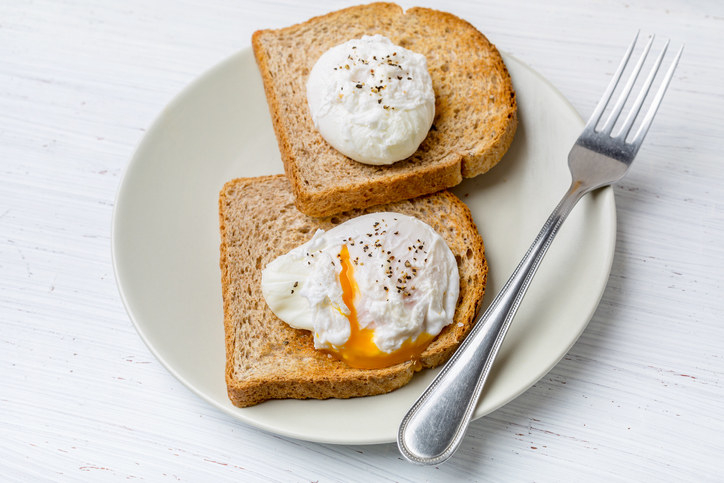 Watch Gras make poached eggs using plastic wrap. 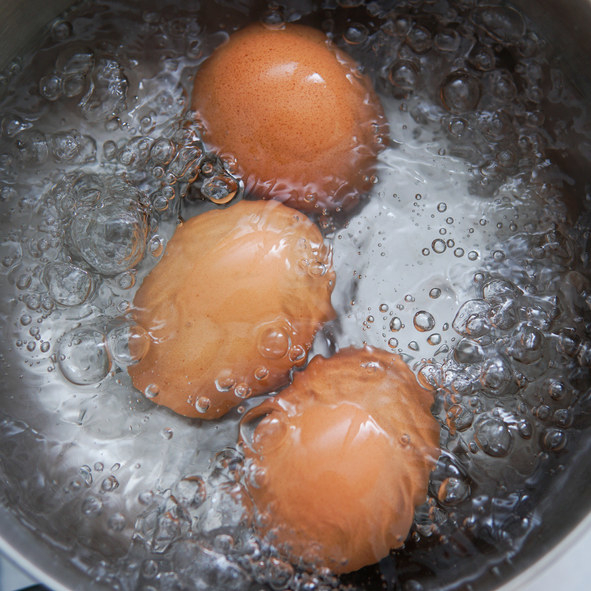 Before you add your eggs to boiling water, use a push pin to prick a hole in the wider end of the egg (the bottom). This is where the air pocket is located, and poking a hole helps release some of the pressure that causes the shells to crack when being boiled. Learn more: Check out even more of Jacques Pépin's egg hacks. Just place eggs in the cups of a muffin tin and bake at 325°F for 30 minutes. As soon as you take them out, transfer them into an ice bath to stop the cooking process and you have perfect "hard-boiled" eggs without having to actually boil anything. Watch Valladolid make her baked "hard-boiled" eggs. The water pressure pushes the shells off the eggs and washes them right off. It's not magic, but it makes peeling them easier. 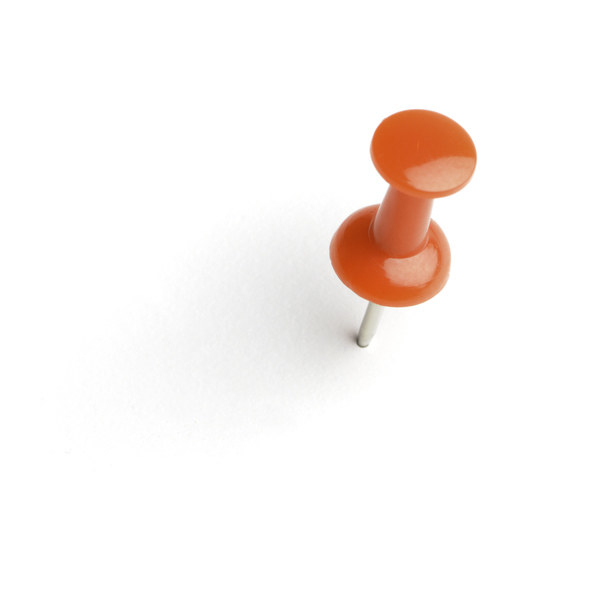 Learn more: Check out even more of Korbee's pro egg tips. If you're using a metal spatula, press it against the hot pan for a few seconds to heat it up before attempting to flip your egg. It'll help stubborn eggs unstick themselves and make flipping easier.